You are here: Home / Criminal Law / Court / What is a withheld judgment? If I am offered one, should I plead? As a criminal defense lawyer, I often get asked questions about withheld judgments. 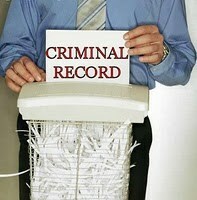 Often my client’s primary concern is keeping his or her record clean. Having a criminal record can make it difficult to get a job, get financial aid for college, be accepted into some colleges, etc. The hope is that the case can be resolved in such a way that your record will allow you to have a full and successful future. Can a withheld judgment help you with that? In order to answer this inquiry you must first understand what goes on your record in Idaho. When you are charged with a crime, that goes on your public record. What this means is if someone did a search on the Idaho Repository they would see that you had been accused of a crime, and would also see that you were arrested (if you were in fact arrested). As you proceed through your case your record will continually be updated, and those updates will all be part of the public record. Anyone who knows how to use the Idaho Repository can get online, do a search of your name, and see that you have an entry. At some point in the proceedings you may be found guilty, or plead guilty to the charge. Either way, the judge will then have to make a decision whether to enter a “judgment of conviction” in the case. If you do not have a significant criminal history, and if you have never had a withheld judgment in the past, the judge may consider “withholding judgment,” or in other words, not entering a “judgment of conviction” just yet. He will place you on a period of probation, and if you successfully complete the probation, he will dismiss the judgment rather than entering a judgment of conviction. In other words, it will be as if you had never been convicted of the crime. Now, that doesn’t mean all of this will not be part of your record. It will be. Everything I just described will display on your record. Anyone who knows how to do a search of public records will be able to find the case, and see that the judgment had been dismissed pursuant to a withheld judgment. So this often brings up the question, how should I fill out a job application, or college application, or financial aid application, when it asks me “have you ever been convicted of a misdemeanor, or a felony?” This is a difficult question, and the answer will change depending upon how the question is written on the materials. Institutions these days are getting savvy in the way they write these application questions and instead of asking you whether you have ever been convicted of a crime, they will ask “have you ever plead guilty, or been found guilty of, a misdemeanor or felony, whether it was a withheld judgment or not?” Obviously if the question on the application is so specific, and you have plead guilty or been found guilty, and been given a withheld judgment, you have to answer in the affirmative. The institution that is asking you this question will certainly run a background check on you, and the case that you had a withheld judgment on will certainly appear on your record. They will see that it was a withheld judgment. So if you answer the question in the negative, and even if they have a policy of ignoring withheld judgments in their considerations, they will think your are being dishonest with them about your record, and that may have a negative impact on your chances of getting financial aid, getting a job, or getting into college. So what good is a withheld judgment then? Well they are not the magic pill that many are lead to believe they are. But there are some benefits to having a withheld judgment. Different institutions have certain policies in place for withheld judgments. If you get a DUI, or a Reckless Driving charge, you can often avoid the high priced SR22 insurance by receiving a withheld judgment. Receiving a withheld judgment, and not having any other record, will demonstrate, to anyone who knows what a withheld judgment is, that your case was relatively innocuous, and it was obviously an isolated incident. So although withheld judgments are not the magic pill to make all your problems go away, it is still better to have one rather than a judgment of conviction. There are burdens to having a withheld judgment as well. When you receive a withheld judgment, the judge is not going to sentence you in the traditional way. If you violate your probation, and the judge revokes your withheld judgment and enters a judgment of conviction, he will then sentence you later on in your case, and you will not have an agreement with the prosecutor as to what your recommended sentence may be. What this means is, the prosecutor could ask the judge to send you to jail for the maximum sentence, and the judge could send you to jail for the maximum sentence. This is what will be hanging over your head for the entire length of probation. This is a different scenario than you would have if you would have been given a judgment of conviction to begin with. When the judge enters a judgment of conviction right off, then you will know what your sentence is from the very beginning, and the judge cannot go back and change that sentence just because you violated your probation. He could of course impose any suspended time that he suspended when he first sentenced you, but he could not add additional time that you weren’t originally sentenced to. In Idaho I would not normally recommend taking a withheld judgment if you are innocent of the charges and you think that this is the easy way out. It is not the easy way out, and the benefits hardly outweigh the burdens of receiving one. If you are guilty, but the case is a relatively innocuous one, and you just want to get the case over with, then certainly a withheld judgment is better than a judgment of conviction. However, if you are innocent do not plead guilty, stand on your rights and take the case to trial. The benefit of an acquittal far surpasses that of a withheld judgment. No matter what anyone tells you, a withheld judgment is not the same thing as an acquittal. If you are truly innocent of the charges laid against you, then do not let your fear of what the judge may do should you lose cloud your decision of whether to take a case to a jury trial or not. For those with questions about having your record “expunged” or “sealed”. I am considering writing a blog post on that at a later date. For the time being, suffice it to say that it is notoriously difficult to have a criminal record expunged or sealed in Idaho. Previous Post: « When can a police officer search (i.e. frisk) me? Thank you immensely for this information. I am deciding whether or not to take a withheld judgement in an entrapment case. My lawyer says the chances are 50/50 if we go to trial, as it is a very difficult defense. I cannot afford to lose my college loans or my family life by spending time in jail. I finally have my life on track, in school, engaged, on good terms with parents. This is the monolithic roadblock in my path to a successful future. I will consider this information carefully. i will be working with the state board of nursing with my rn license. however, i have a withheld judgement. can i get a nursing job with a withheld judgement. I know health and wefare has guidelines that prevent nurses with withheld judements from working for 5 years. I have completed my probation period and was granted a withheld judgement but I have moved to NV thru an Interstate Compact. When I look on the ID repository my information has not been updated and o finished my probation over a year ago. The Judge I had is no longer at the couthouse so who do I contact to get the ball rolling again? Also, once you have a withheld judgement what rights do you get back? Can I vote? Or get a hunting license again? The information you shared was very helpful and thank you! I hope to hear more about it. Did you petition the court to have the withheld judgment dismissed after your probation ended? If not, then you still need to do that. Call me and I can help you with it. I have completed the probatin period the judge set before me. Now my question is what is the next step in having this withheld judgment dismissed. Do I just need to contact the county clercks office and ask them or what should I do? does this mean that person served time? I’m an Army vet. I’ve decided I want to serve again but I have a withheld judgment on a marijuana possession charge. Am I out of luck? What if a child 10 years old took a knife to school and they pressed charges…? ?….then they go to court. And ask for a withheld judgement? Will they still get one as an adult. Or once in a lifetime. Very crazy situation. I filled out an application and sent in a resume for a job. the application did not ask about any dui in past five years. they hired me, sent me for a drug test and a physical and told me if I past both, give my notice to my employer who I was with now. I did that, went in for orientation today, they started a time card for me and then towards the end of orientation, they asked if I had had a dui in the past five years. I told them, I got a dui three years ago and it was a withheld judgement, no conviction. they decided not employ me. now I have no job between the two. do I have some kind of case or what can I do.